I get an error message "Your trial period has been expired"
When you download our product for the first time, you can evaluate it within 30 days. After that you get the notification message that your trial period has expired. If you think you need more time to evaluate VIP Task Manager, you can extend your trial period. 1. Email us to support@taskmanagementsoft.com to get the trial period extension file. We will send you the file “TMProExtra15.zip”. 2. 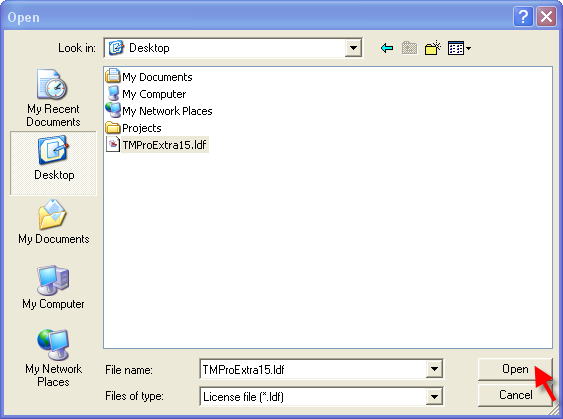 Extract TMProExtra15.ldf file from TMProExtra15.zip file to your computer, for example, on your Desktop. 3. Launch VIP Task Manager. 4. You get the error message that your trial period has expired. Please click “Ok” button. 7. Click "Ok" button in "Input license information" dialog.